Competition in the lettings market becomes particularly fierce at this time of year, as tenants often look to move home during the spring. If you’re thinking of ways to better your chances of letting your property, it could be as simple as your front door colour. It turns out that property viewers can sometimes be just as picky about the exterior of the home as they are about the interior, so making a good first impression with the front door colour is essential. 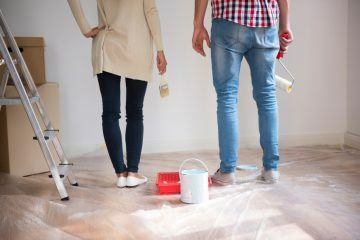 If you’re struggling to let your property or need to make some updates, simply giving the front door a fresh lick of paint could do the trick. 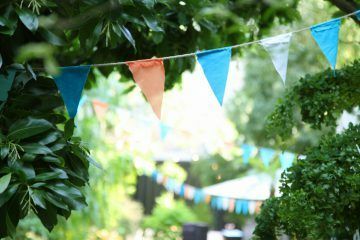 With the front door often being the natural route into a property, it is one of the most important external features to a prospective tenant, and one that they are likely to notice. So which front door colour is the most popular choice? According to a study by Westbury Windows & Joinery, painting your front door white could boost your chances of letting your property quickly. As expected, stained and varnished finishes came in as the second most popular choice, with classy black in third. 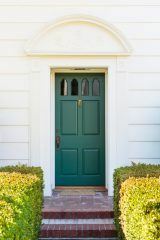 Other popular front door colours include Oxford blue, post-box red and racing green – all very tasteful and timeless. However, if you want to go for something more fashionable and on trend, paler tones such as grey, duck-egg blue and celadon green were also highly rated. So which colours should you avoid? Painting your front door yellow, pink or lilac may well put potential tenants off! When deciding on a front door colour for your rental property, remember to stick to classic colours or neutral shades – if in doubt, go white. The research arrives following news that many first time buyers believe that it’s only possible to buy a home with a partner, meaning that around half of young people are living in rental homes. Spruce up your front door colour in time for new tenants now! 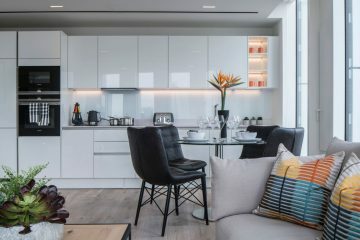 Would you Use an Interior Design Service for your Rental Property? Should You Let Tenants Decorate? 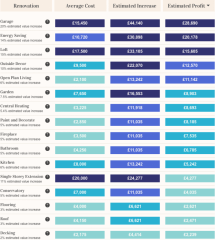 Landlords, Which Renovation Projects are Most Profitable? More landlords diversifying to avoid tax increases Are you a Landlord and Worried about April 2018?